What's better for motorcycle riding than clear weather, warm sun, and open roads? Most motorcyclists we know have been eagerly awaiting the return of higher temperatures, and now that spring has arrived, some are ready to set out on their first big motorcycle trip of the year. If your motorcycle trip will lead you across state lines, it's important to consider how another state's helmet laws may differ from those of your home state. Ensure a smooth and incident-free ride by brushing up on nearby states' helmet laws. Following them will keep you covered and keep your wallet from taking a hit. Some states don't require helmets. You can choose not to wear one, but if you enter a state that requires a helmet, then you must follow that particular state's laws. For example, Pennsylvania doesn't require all riders to wear helmets. However, if you take a trip from Erie to Findlay Lake, NY, then you're required to put on a helmet after crossing the state line. Before you take an inter-state ride, map out each state that you'll hit and follow the helmet laws accordingly. To make planning any trip in the Mid-Atlantic region easier, we've broken down the details of Pennsylvania's motorcycle helmet laws, along with all of PA's neighboring states. Pennsylvania – Motorcycle operators 21 years of age and older, who have either been licensed to operate a motorcycle for at least two years or who have completed a motorcycle rider safety course approved by the Department of Motor Vehicles or the Motorcycle Safety Foundation, are not required to wear helmets. All motorcycle operators and riders under 21, must wear helmets, regardless of how long the operator has been licensed or whether he or she has completed a safety course. All motorcycle operators and riders are required to wear eye protection that is approved by the Department of Motor Vehicles. 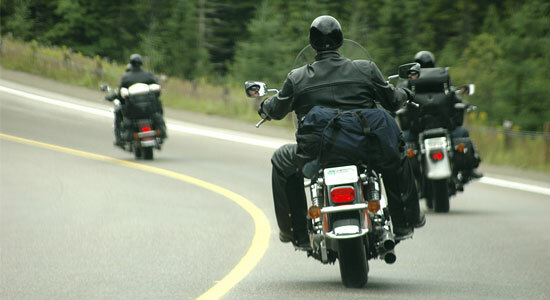 New York – New York law requires all motorcycle drivers and riders to wear helmets that comply with federal law. In addition, New York requires all motorcycle operators to wear goggles or a face shield of a type approved by the Commissioner of the Department of Motor Vehicles. New Jersey – All motorcycle operators and passengers must wear a securely-fitted helmet of a size proper for the wearer's head and of a type approved by New Jersey's Director of Motor Vehicles. Helmets must be equipped with either a neck or chin strap and it must be 'reflectorized' on both sides. Protective eyewear is required for all motorcycle operators. Delaware – Every person up to the age of 19 must wear a safety helmet and eye protection approved by the secretary. Any rider over the age of 19 must have a helmet and eye protection in their possession when riding. Maryland – All motorcycle drivers and passengers must wear a helmet. Additionally, all motorcycle operators must wear eye protection, unless the bike is equipped with a windscreen. West Virginia – All motorcycle operators and passengers must wear a helmet that is securely fastened to the head by either a neck or chin strap. All motorcycle riders and passengers must wear safety, shatter-resistant eyeglasses, eye goggles, or a face shield. Ohio – All motorcycle operators under 18 and those who hold a "novice license" must wear a helmet. All motorcycle passengers under 18 must wear a helmet, as do passengers riding with operators holding a "novice" license, regardless of the passenger's age. All operators and passengers must wear safety glasses or other protective devices at all times. Washington, D.C. – all motorcycle operators and passengers must wear helmets with permanent, weather-proof reflectors on each side, as well as either a neck or chin strap. Helmets must also permit unobstructed hearing. Heading farther from Pennsylvania on your trip? Don't worry. 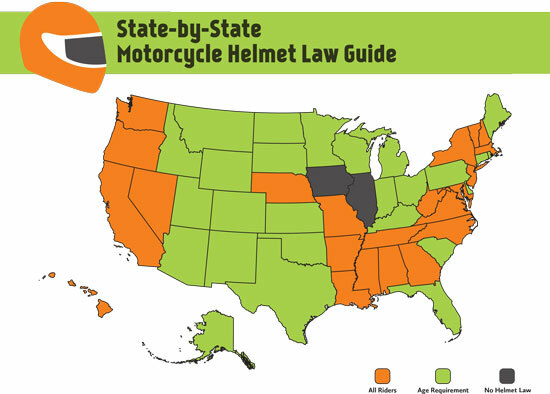 We've created an interactive, state-by-state helmet law guide map. For additional details on all things motorcycle safety, visit our Motorcycle Safety Resource Center. And, if you're ever involved in a motorcycle accident, feel free to contact our law firm any time. Interested in Joining Snyder's Riders? Interested in joining a community dedicated to improving safety for all motorcyclists? We've recently launched Snyder's Riders, an organization of motorcyclists who seeks to provide members with the latest in motorcycle safety information, training programs, and accident prevention technologies. 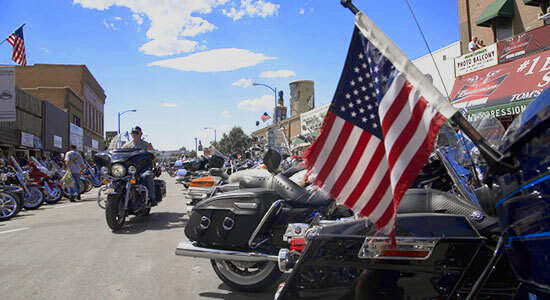 Visit Snydersriders.com to become a member, sign our safety pledge, and earn prizes.